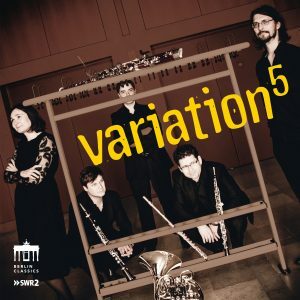 The wind quintet variation5 has released a new CD. For their album, the five musicians recorded music by Malcolm Arnold, Jean Françaix, Paul Hindemith and Carl Nielsen. You can find excerpts and ordering information here. In the quintet variation5, Ramón Ortega Quero performs with Sebastian Manz (clarinet), Magali Mosnier (flute), David Alonso (horn) and Marc Trénel (bassoon). During next spring, there will also be a concert tour of the quintet – further information here.